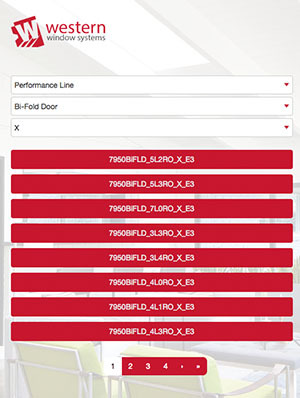 Looking for large or unique door systems that slide or fold? Windows and doors that integrate with each other or standout separately? 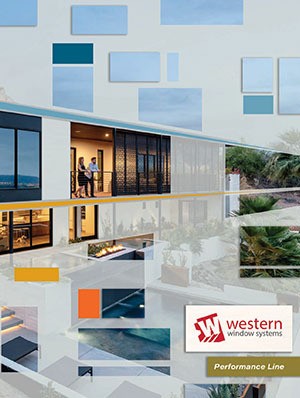 Western Window Systems focuses on helping people live better through bold, innovative products that blend the indoors with the outside. 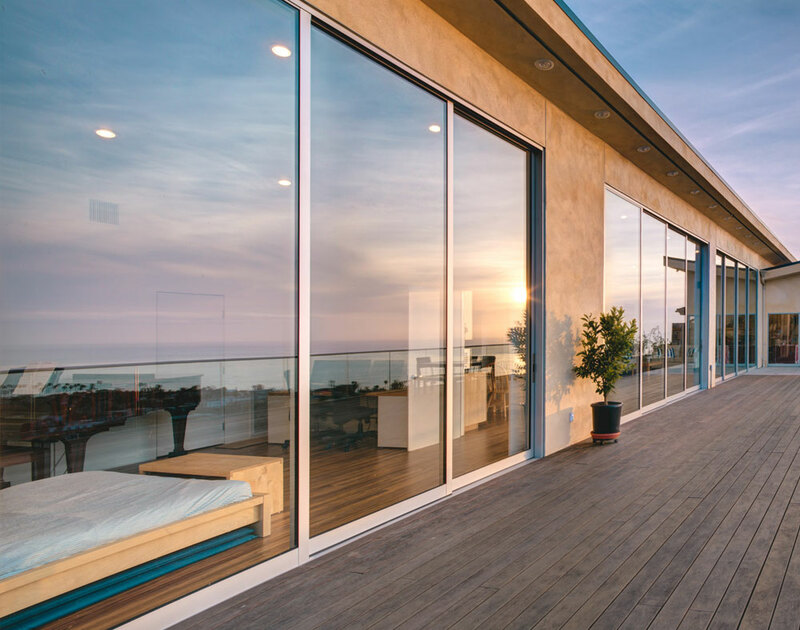 Designed and built to the highest standards, Western Window Systems is more than just patio doors and windows. It's a way to change the a space, beautifully and efficiently, for years to come. 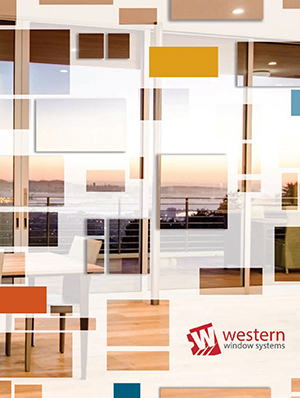 With Western's new 7000 series performance product line, creating large expansive glass systems that comply with local energy requirements is a breeze. 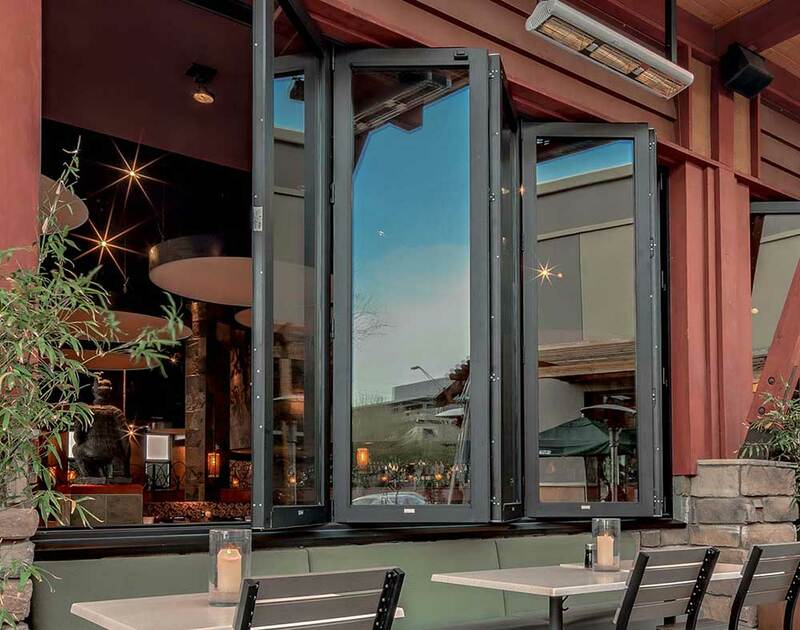 Western's 7600 series multi-slide and 7950 series bi-fold door provide a 0.30 U-Factor that allows it to comply with residential code enforcement. Western Window Systems offers the styles, configurations, and performance features to re-imagine any kind of living space. 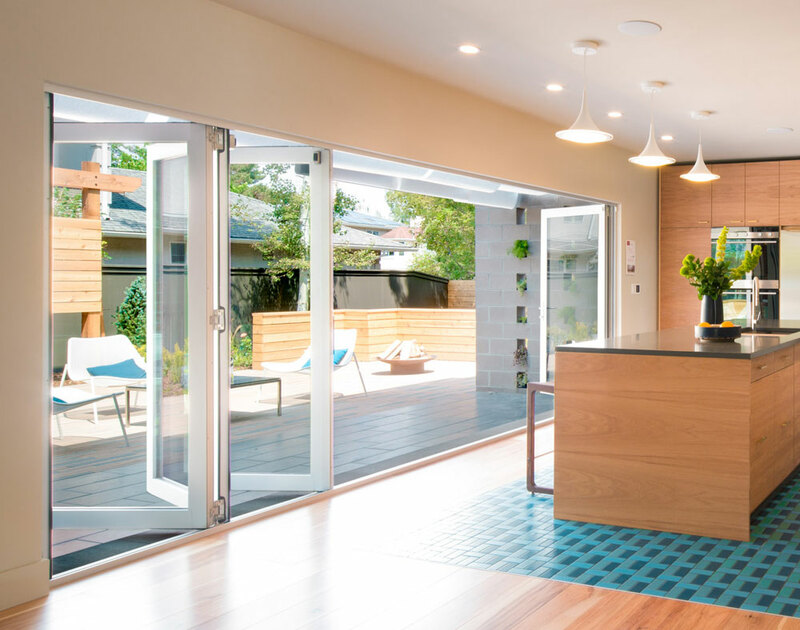 Embodying nearly 60 years of advancements in multi-slide door design, the Series 7600 is packed with innovations that address energy and structural requirements. 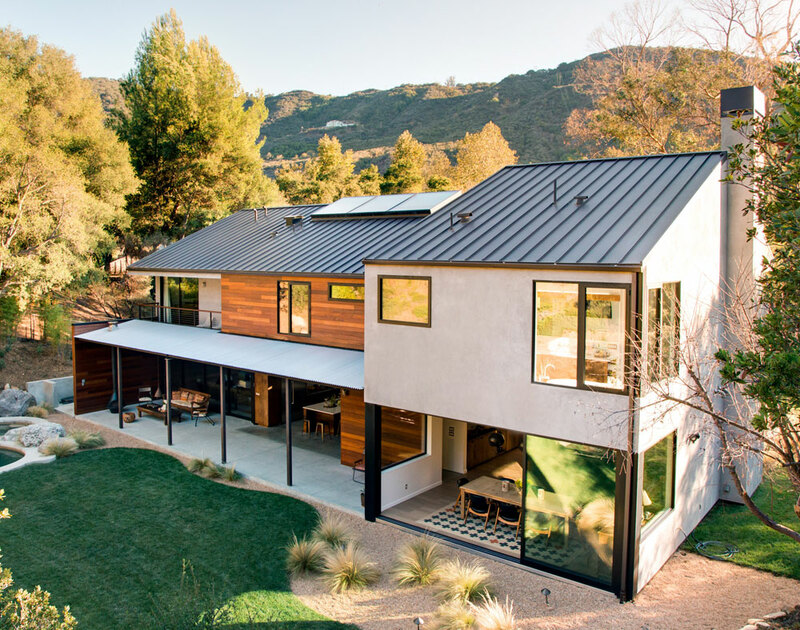 Of course, the design elements that have made it a favorite with architects -- thin profiles and large, unobstructed rolling glass panels that stack or slide into pockets -- are still unmistakable. 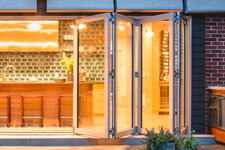 A .30 U-value for standard, low-E, argon-filled dual-pane glass makes the Series 7600 able to deliver energy efficiency in a variety of weather conditions. 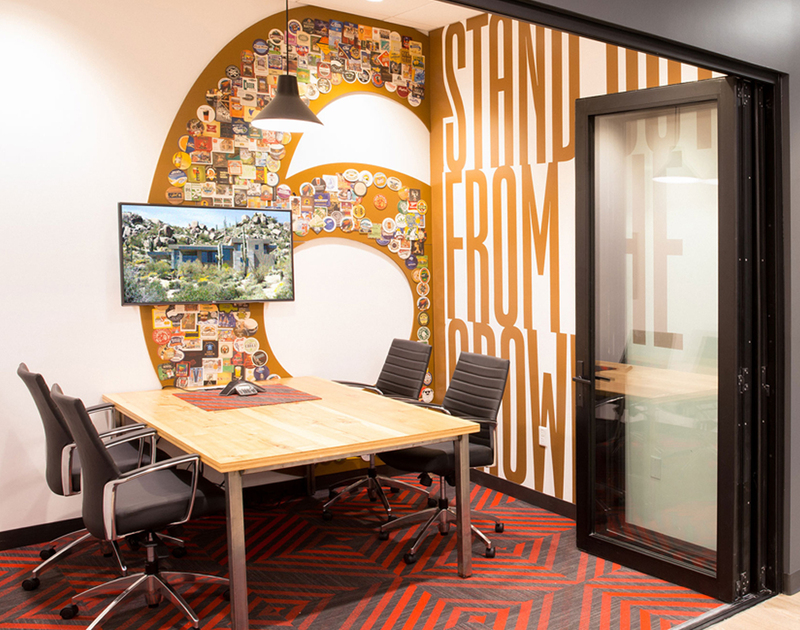 And because it's available in the most sizes and configurations of any brand, there are infinite ways to customize. Used as an accent or add on to a door, stationary panels allow additional viewing area without being active. Standard sliding patio door with one active panel and one stationary panel. 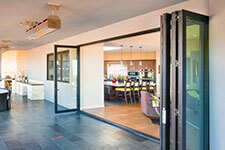 Standard sliding patio door with one active panel and multiple stationary panels. This can be used to create a wall of glass. Both end panels are active with a center stationary panel. This door type has two active panels to provide a large unobstructed opening. Two active panels or more that slide to one side or the other as ordered. 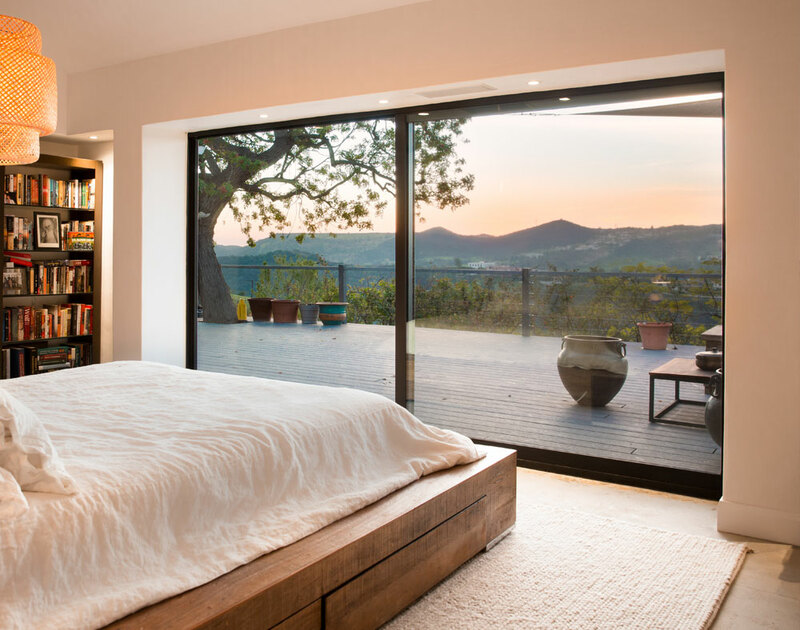 This door can also pocket into a wall to move completely out of view. This door type has four active panels or more to provide the maximum opening to a home. This door can also pocket into a wall to move completely out of view. * Panels may exceed 84" in one direction only. 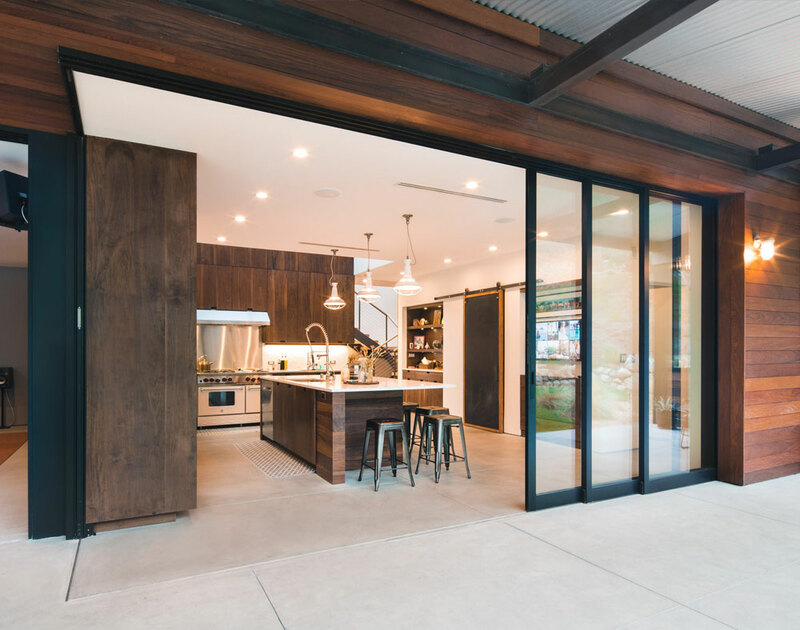 Reinvented for strength and energy efficiency, the Series 7950 Aluminum Bi-Fold Door is a perfect solution for architects, builders, and homeowners who want to design, build, and experience indoor-outdoor living in a variety of weather conditions. As durable as it's impeccably designed, it's built with premium grade materials and a flush sill option for a seamless transition from the indoors to the outside. 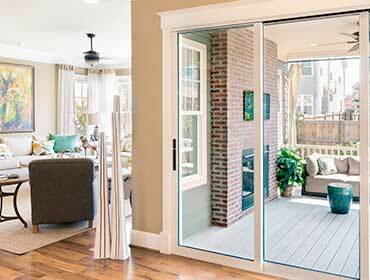 Below are only a few examples of how bifold doors may operate. 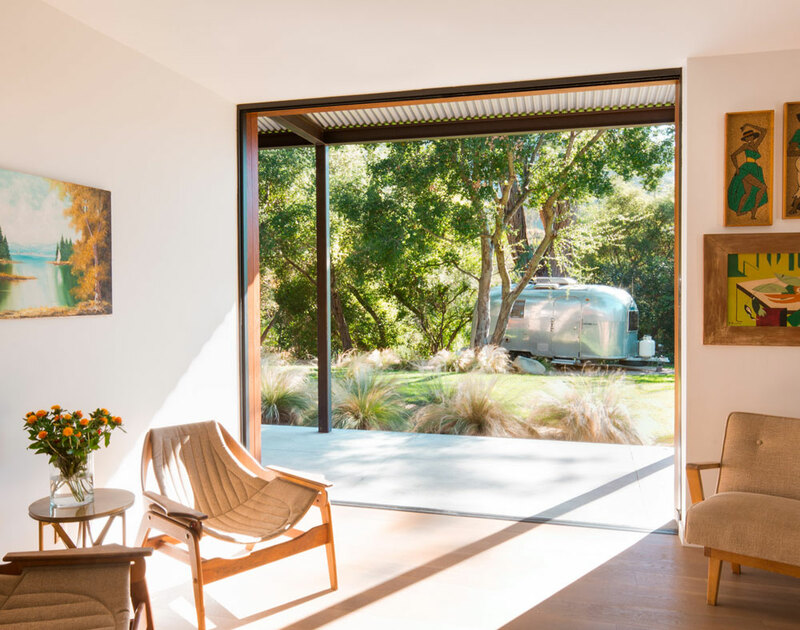 It is important to note that in multi panel bi-fold doors that the separation where panels move to the left and right can be at any point within the door. Both panels open and slide to the side together. Not able to be accessed from the exterior. Locking point in the center of both panels. All panels open and slide to the either side together. Able to be accessed from the exterior through the first opening panel. Lever hardware on active door panel. In this version of the three panel, one panel swings left while the other two bifold to the right showing the versatility of bi-fold doors. All panels open and slide, two panels to left and two to right. Not able to be accessed from the exterior. Locking point in the center of both panel sets. The above photo shows a 16 Panel Bi-Fold which could be used to create one large oversize opening. Heavy duty head load hardware required on oversize doors. 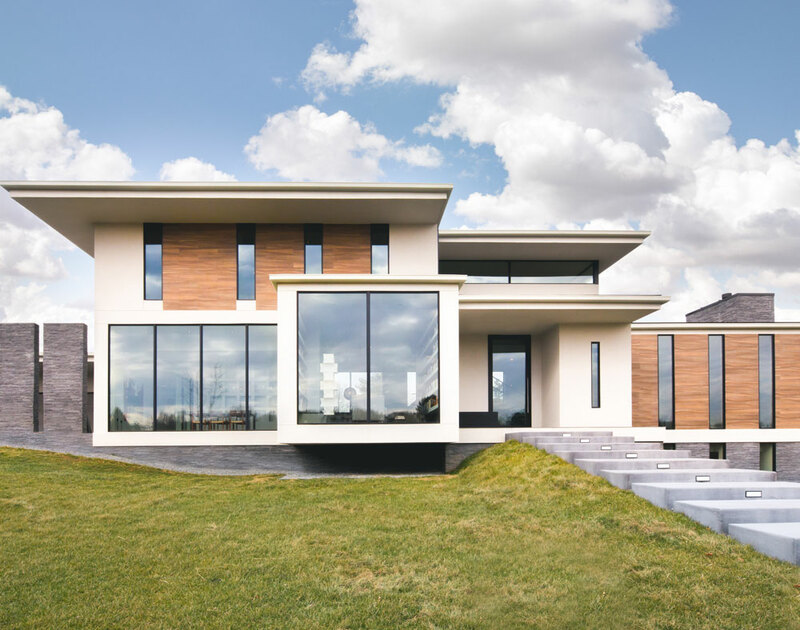 The Series 7000 family of moving glass walls and windows address energy and structural requirements while promoting contemporary design. 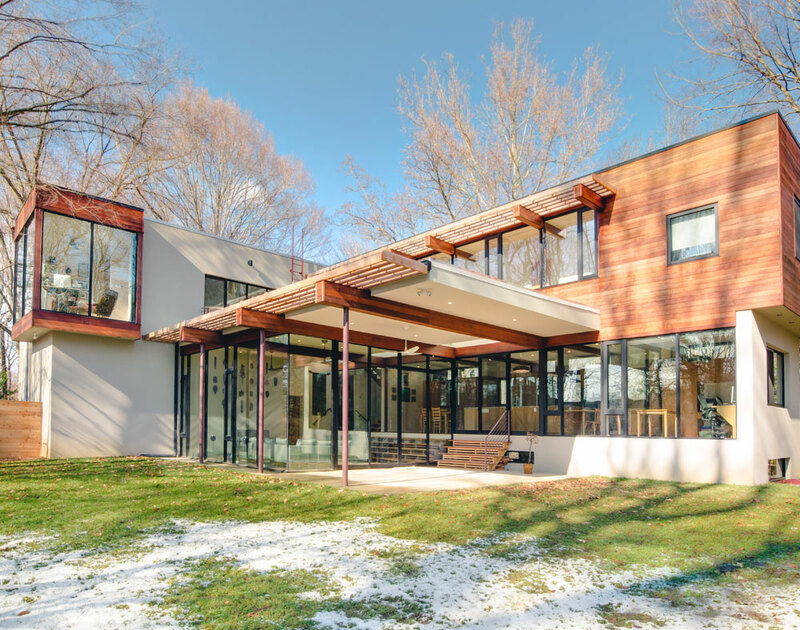 With U-Values and Solar Heat Gain Coefficients (SHGC) of 0.30 or lower, this product line up makes large glass walls and doors able to be installed into residential homes while meeting standard Chicago residential energy codes. High-quality disappearing glass walls and windows that combine exceptional performance with clean design. These windows and doors include a traditional aluminum thermal-break providing standard aluminum product performance numbers. 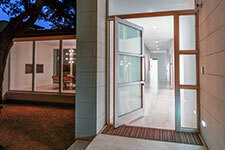 Additional windows and products can be viewed at Western Window Systems website. 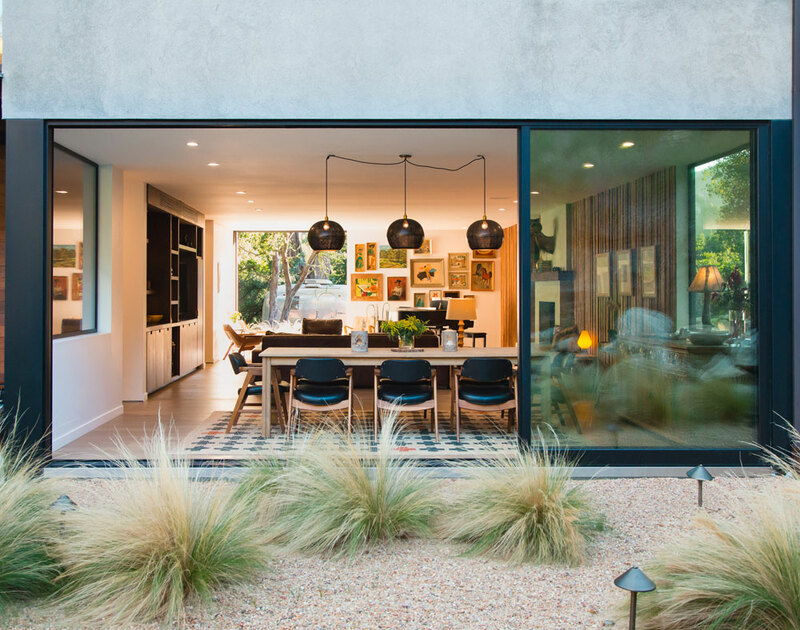 Note: 60 sq/ft maximum glass area per unit. Panels of 60 sq/ft may be mulled together, but may require Western Window Systems supplied steel reinforcements in mullions. 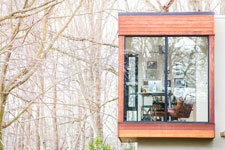 Moving walls of glass stack or slide into pockets for extra wide openings that provide more light and maximize views. A 90-degree alternative completely opens up the corner and sides of a room by eliminating a connecting post. 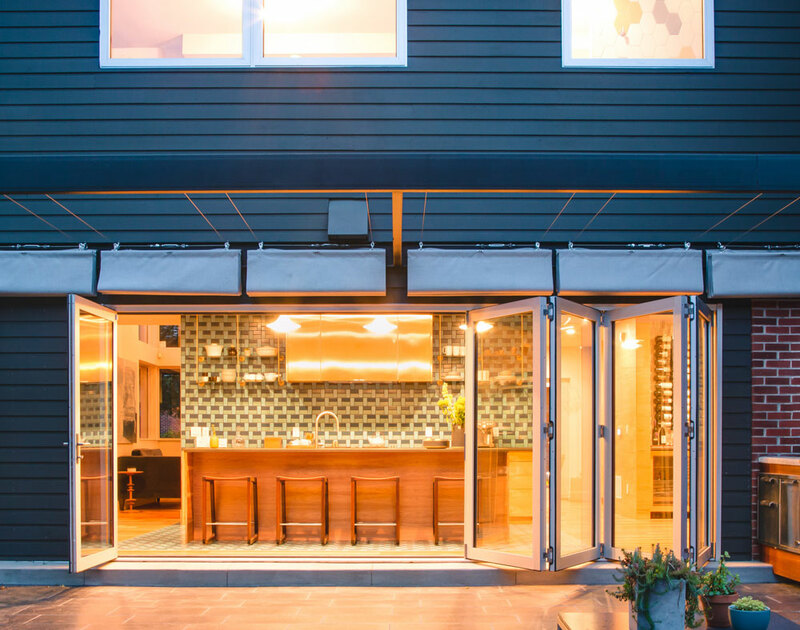 Best of all, Western's Series 3600 Vinyl Multi-Slide Door features a shortened production lead time to help keep your project on track and on budget. Start by choosing your desired configuration and width. From there, a range of options lets you customize your door as you see fit. 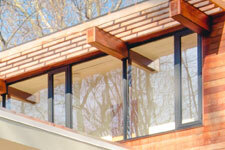 Western Window systems provides standard anodize colors as well as optional painted exterior finishes. Need a two tone aluminum thermal break door? 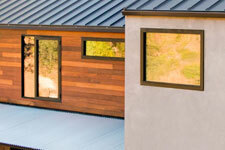 Western Window Systems performance line can be one color on the exterior and a separate color on the interior! Need to get one door or window in a specific color? No Problem! Western Window Systems will custom color any of their products to match an existing exterior facade when provided a sample. Western has joined forces with ARCAT, a free online resource that puts their product information and specifications at the fingertips of professionals. Click here to view. Visit Western Window Systems on YouTube for more videos and information about them and their products.